A friend of mine from Colorado insisted I take his new switch rod out for a test drive. How does one say ‘NO’ to an offer like that? RIOGHT~ that’s what I said. I will be clear and up front with a few items of interest. First, never have I done an official review, that will be apparent in less than a few sentences. Secondly, I haven’t used a switch rod prior to this occasion. Third, don’t knock it because it is made by the same company that makes dog beds- Stella and Roxy don’t have the privilege of sleeping on a $200 doggie mattress. And lastly, I have not read any review on this or any other switch rods, so I do hope to be unbiased and honest in my humble opinion. Off the bat, I was immediately impressed with the brown and bronze hues of the rod as it reflected the afternoon sun when I was lining up the sections for an afternoon chasing some steel on the Boyne River. 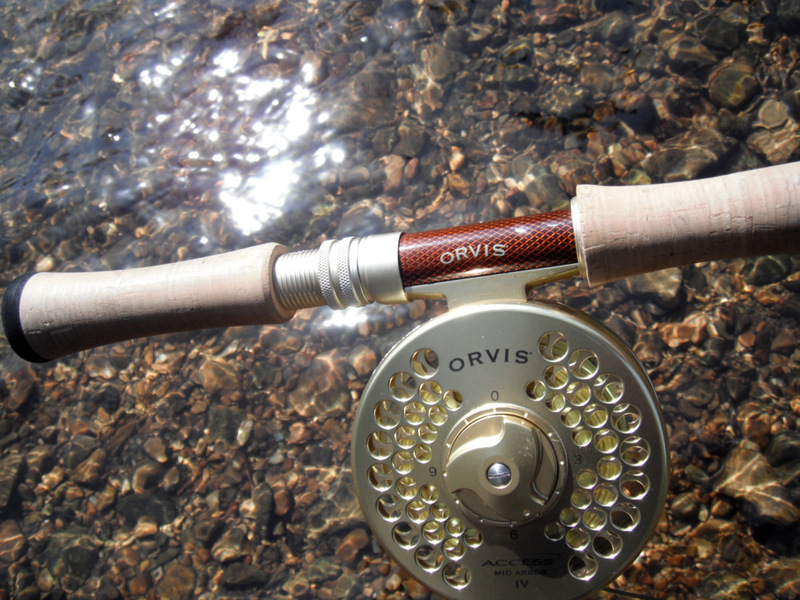 As usual for most Orvis rods out there today, they conveniently dot both ends of the sections to save you the effort of lining up your eyes after assembled. The shades of amber reflecting off the rod remind me of the 4X4 on the ‘Fall Guy’ with Lee Majors from the 80’s. The reel is equally decked out in gold to compliment the 11 foot 7 weight highly agile switch rod. The Mid-Arbor Access IV has plenty of weight and internal power to properly match the weight of the rod. I felt it was the perfect match for the strength of the rod. The technical side of the outfit~ The Access rod has utilized a proprietary new epoxy-based resin system with plasticizers for a stronger composite. What does this mean? Bottom line, the $400 rod of today compared to twenty years ago is light years ahead of its predecessor’s and significantly lighter in the hand. Granted, not everyone can afford to drop 4 C-notes for a rod, but this rod would have been closer to $1000 fifteen years ago. For those that are casting all day, whether drifting a stonefly and nuclear egg pattern through a run or swinging grease stains through the prime water, the weight of the rod versus the amount of power/strength in that rod is the difference between fishing a few bends and floating all day for a few days on end. 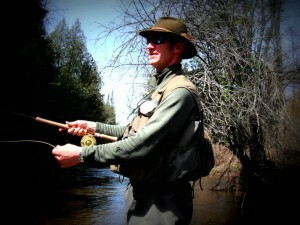 When a rod is cumbersome and hefty, you tend not to put as much into every cast. When the rod is light in your hand, it becomes an actual extension of your arm and it works for you. I was very intent on getting into some steel and seeing what this rod can do. Upon sneaking in my favorite run that drops into a nice hole, I flipped my caddis and clown egg combo upstream with a quick mend for a decent drift. Bump, bump, bump>>FISH ON ! ! 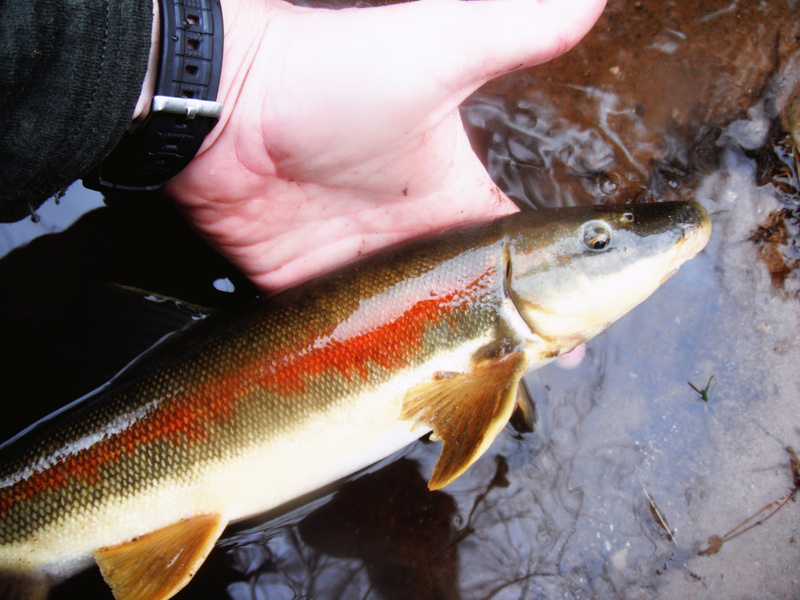 A decent buck steelhead with fire-engine red cheekplates quickly doubled over the rod. He made healthy run up stream and encountered the shallow gravel bar and rapidly turned his game around towards me. 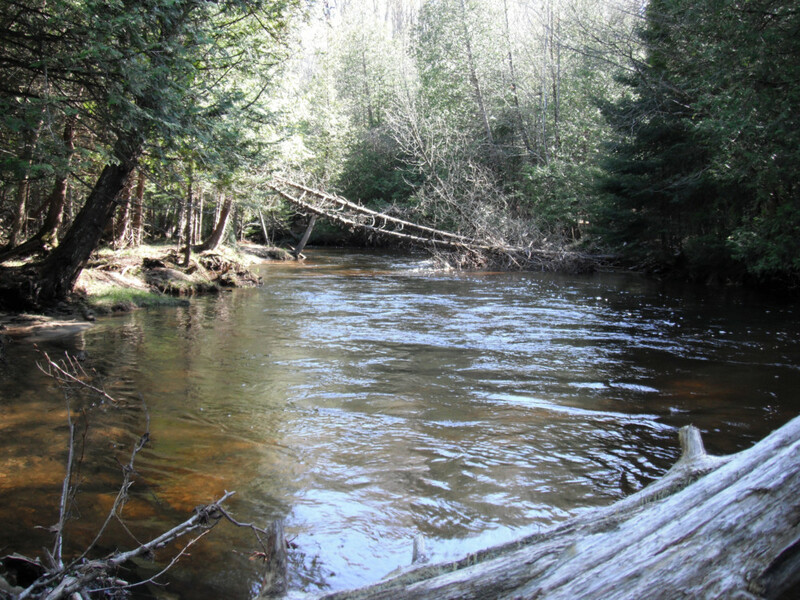 In a downstream dash, he sped past his holding hole and me headed straight for some downed wood on the rivers edge. I quickly chased and didn’t let him get too much distance between us. Most often I use #4 flouro-carbon, but today I had my leader tapered to #6 Maxima. After finding the branches and log jam he had taken refuge in, I pulled out the large tree limbs and saw the line dash towards my feet, and then between my legs, and then SNAP~ he was gone. 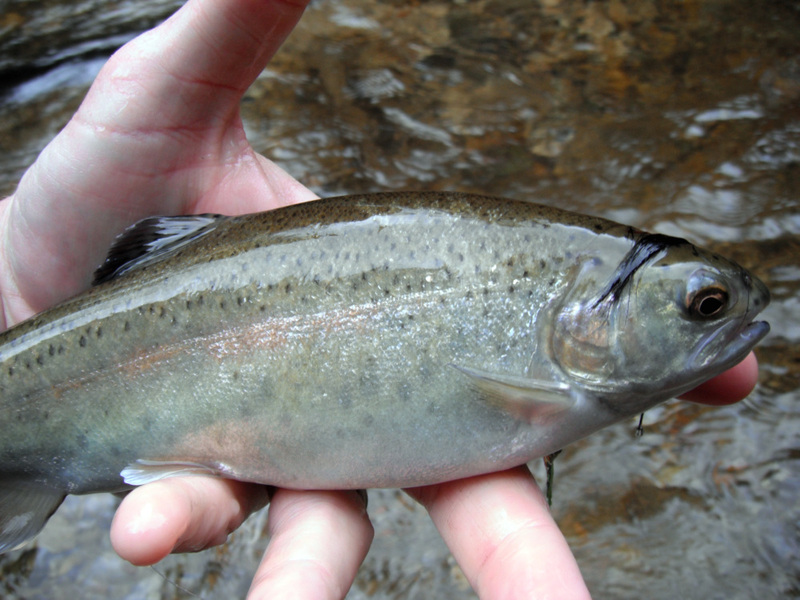 I had his tail in my hand at one time> then, like steelhead do, he found his exit plan and made it happen. Not a monster of a fish, 26-28 inches of fresh healthy mykiss irideus, but I didn’t feel as though I was in control. I headed back up to the hole where he came from, more likely another male in the mix if a female is in the vicinity. Only two casts into my next set and I lifted on the first bump>> Fish ON!! This one wasn’t as magnificent, nor did it take me on a run up or down the river. It was a sucker, and he ate my blue nuke egg. Some would toss the fish on shore for raccoons or other animals to forage, but why? Really? Who made me judge and jury? 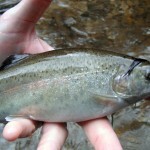 It is simply another creature swimming up here to do the same thing the large rainbows are, except they do eat steelie eggs, I get that resentment. After four more consecutive drifts and as many other suckers, I decided to change my game plan up. S T R E A M E R S~ I would rather seek out an aggressive fish swinging a Boogie Man or Senyo Sculpin any day. So I headed downstream. Chatted with a fellow on the bridge about the stockers they put in the week before and he told me he was working a pair that were on the gravel just below the bridge. I am not going to preach to anyone about how or where they fish, but once a pair is up on gravel and they are in the act of producing the next generation of fish, please, LET THEM. This season has been weird for many reasons, the first is the weather, a record warm March brought many fish in the river systems early. The winter didn’t have much for snow pack to speak of and when we had our first set of seventy plus degree days, the river surged with fish. The second anomaly this year might be the overall size of the steelhead. They are a very healthy bunch, and they have been feeding quite well. Some propose they have been eating some of the invasive species that have moved into the Great Lakes, like the Ruffe and the Goby. I hope the good numbers and health of the fish show promise for the next few years for Lake Michigan and the runs it produces.